Currently on exhibit at photo-eye Gallery is Summer Mischief – photographs by Julie Blackmon. This marks the third exhibition of Blackmon’s work at photo-eye Gallery. Endlessly creative, Blackmon continues to produce fantastic images of her children and family members within and around their homes. In a few weeks we will publish an interview with Blackmon to the photo-eye blog, but in the meantime Blackmon has shared with us some stories and thoughts behind a few of her images. "I had wanted to to a family camp site for awhile, because I liked the idea of doing cloud of bugspray, where the parent was spraying the child. It's one of those things that we do as parents that's protective, yet semi-violent at the same time -- because it's pretty much poison. 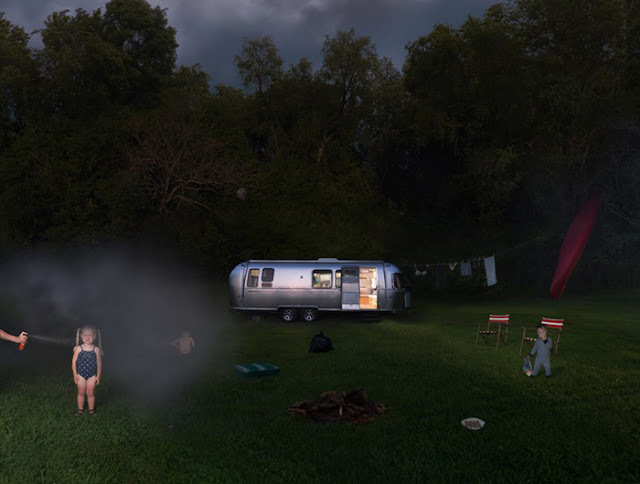 The Airstream trailer interested me as well simply because I've always loved them. Plus the word itself almost seemed to refer to the stream of spray. While we were shooting this (at a vacant lot in town), the cops showed up. They told us someone complained that a band of gypsies had settled in the area. Anyway, we got a good laugh as we tried to explain ourselves. I don't know that they every quite understood, but they let us carry on. 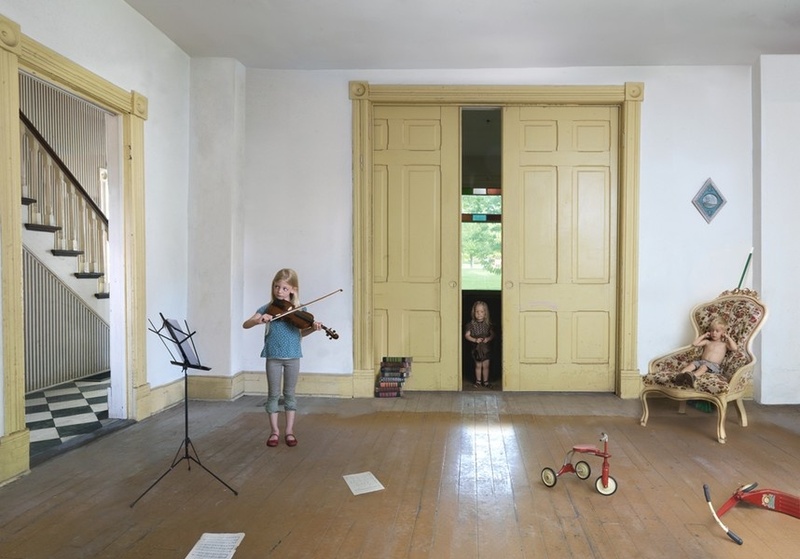 For more information on Julie Blackmon's photographs, please contact Anne Kelly at photo-eye Gallery by email or by calling (505) 988-5152 x202.